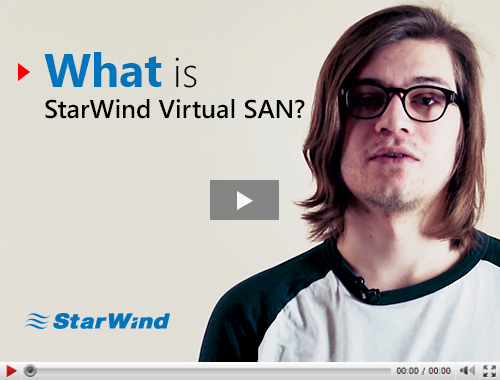 The video tells about StarWind Virtual SAN, which takes a storage, makes it virtual, and then shares it between all of the servers to create highly available storage. It enables your VMs to be redundant, so if one of the hosts goes down, your VM will migrate to another one and continue running. It has a number of features it distinguishes itself compared to other software of this kind.